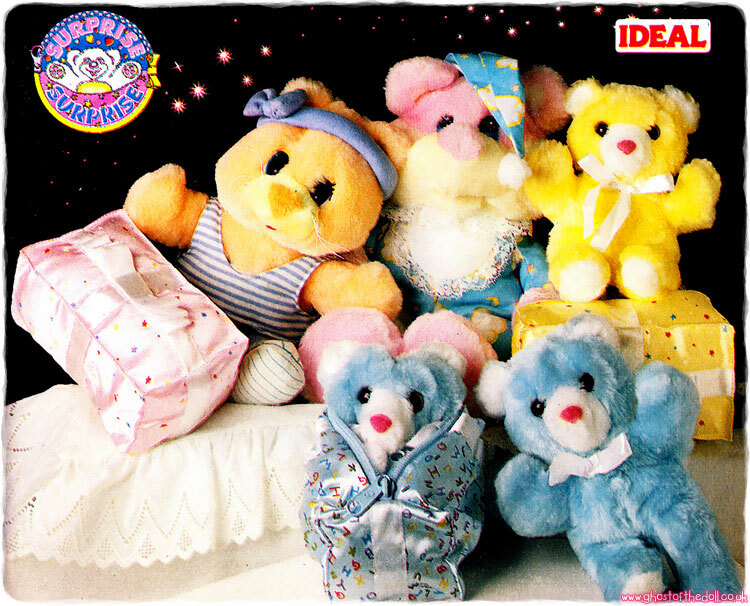 "So soft 'n small you'll love them best of all!" 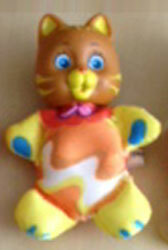 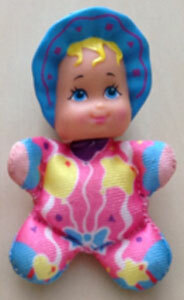 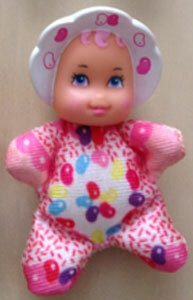 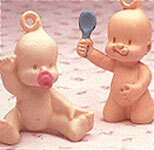 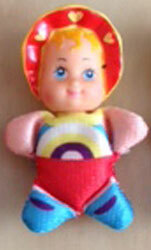 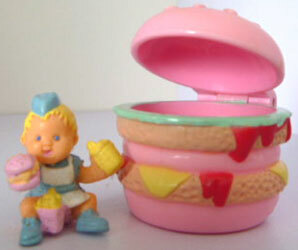 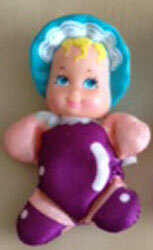 So Small Babies were produced by Galoob in 1989. 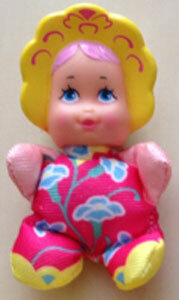 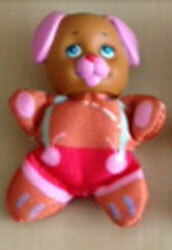 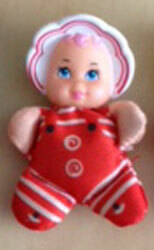 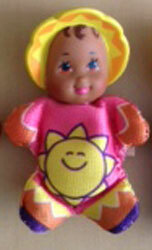 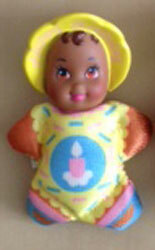 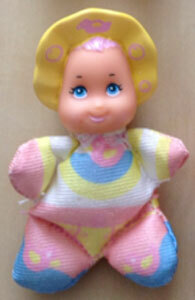 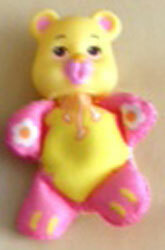 They were a series of small 2-1/2 inch soft bodied dolls with plastic heads. 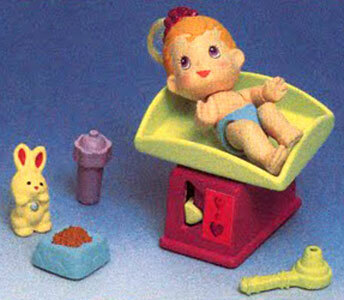 There was a mixture of babies and animals, and plenty of little accessories too. 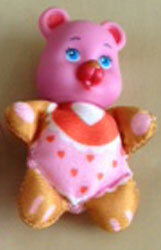 Images on this page thanks to eBay seller richp1978 ! 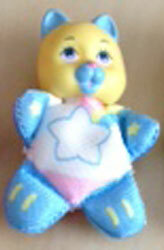 View all So Small Babies on eBay.com or eBay.co.uk ! 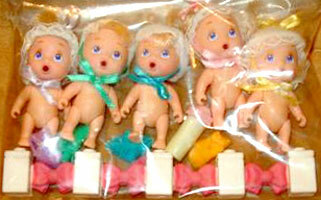 There were four sets of dolls, "Baby", "Candy", "Flowers" and "Sentiment". 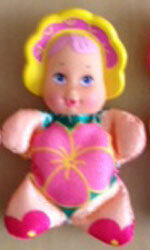 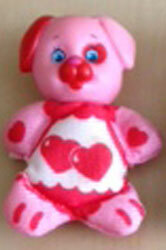 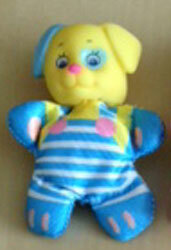 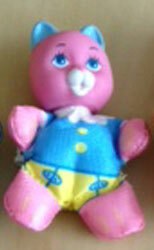 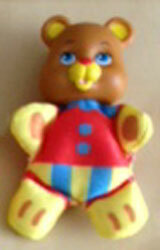 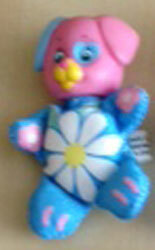 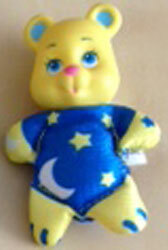 Each set had nine doll comprising of six babies and three animals each (kitty, puppy and bear). 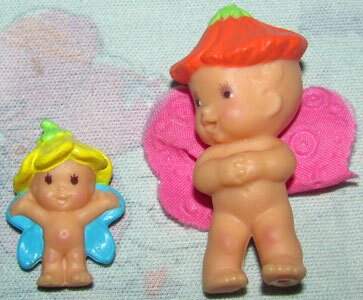 They were sold in packs of three as pictured below, but were also sold individually with little plastic houses and an accessory. 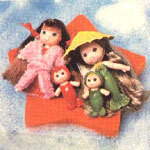 Later four more dolls were produced, one for each set, which came with three accessories each. 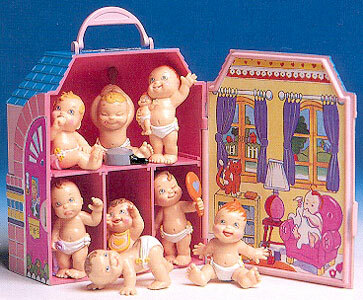 Six of these nine dolls were also sold individually with a small house and accessory. 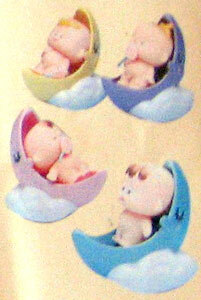 There were four new babies produced, one from each set, each sold separately with three accessories. 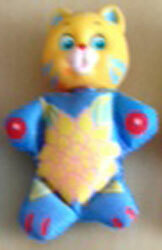 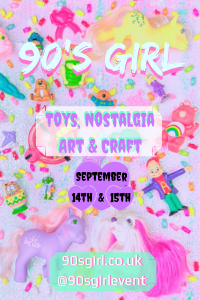 See the Playsets page for details on the accessories.